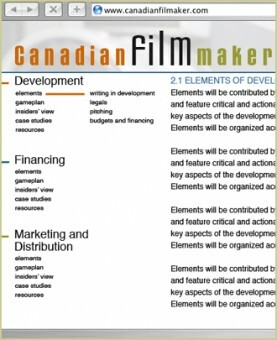 This project was a great opportunity to support women in the arts and Canadian Filmmakers. 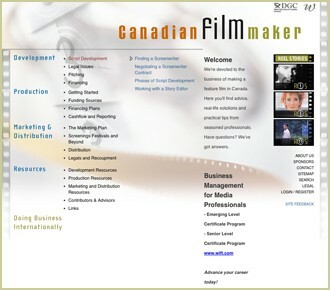 The site, Someone's first Joomla CMS production, allowed designates of Women in Film and Television - Toronto and the Director's Guild of Canada to have complete control over updating and refreshing web content and offered advanced features to help build an online community of interest. 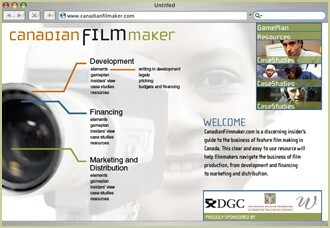 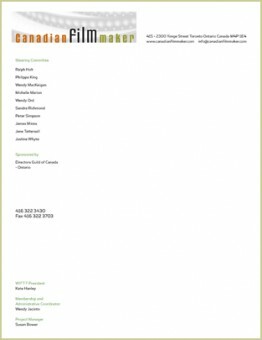 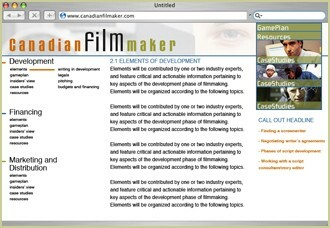 The live site is at canadianfilmmaker.com.